It’s been a couple of week since Ironman Canada and I’m finally catching up on my backlog of results (Switzerland and Lake Placid will follow this week). 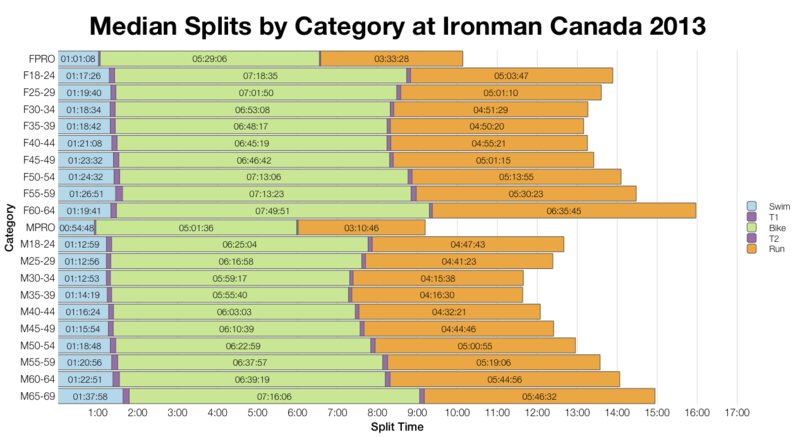 This is going to be a very quick look at the 2014 race – usual graphs, not too many comments. The really quick version of this blog: 2014 was significantly slower than 2013. 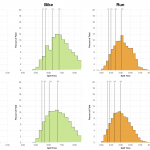 For most of the field both bike and run trend around 15 minutes slower than the previous year. Comparing medians from the two years and the differences are clear. 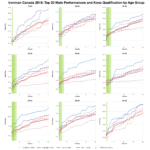 It’s worth noting that the male age groups appear to have suffered the most; women’s age groups are a little more variable, some medians even being a little faster this year. 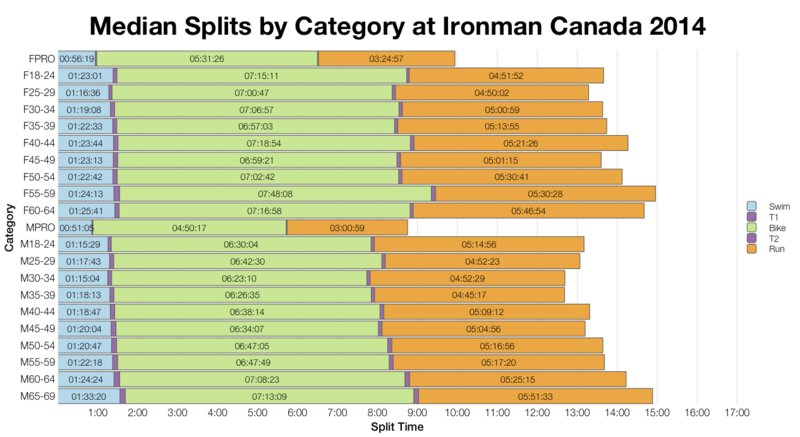 The trend is repeated in the pro field where male times were down, but female times were overall a little faster. The distribution of splits backs up the medians as usual. Perhaps the more interesting question is why the shift between years. Conditions will surely play a role – there’s a heavy weighting at the slow end of the bike suggesting that was more challenging and this would carry into the run. Alongside this I suspect the field was less competitive this year with fewer Kona slots to lure in the fastest athletes. There were fast athletes in Whistler, but they didn’t come in the same number as 2013. The top twenty performances were consistently slower this year. Some of the younger female age groups are an exception to this, performing on par with 2013 results. Also notable are the performances of some of the top male age groupers – the podium athletes often come close, or beat 2013 times. 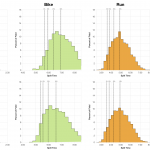 Age group winning times aren’t that much different, but times rapidly fall off supporting the idea that there was less depth in the age group field. I suspect conditions were a little tougher this year than last, the shift in times seems consistent enough to support this. 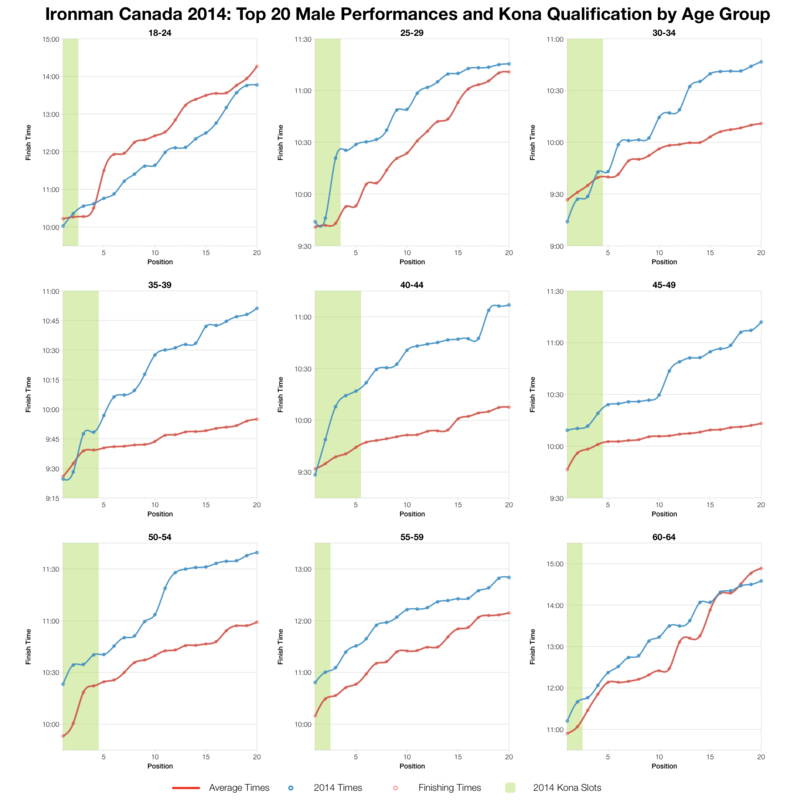 However the performances at the very front of the age group race suggest to me that strength of field was also a major factor. 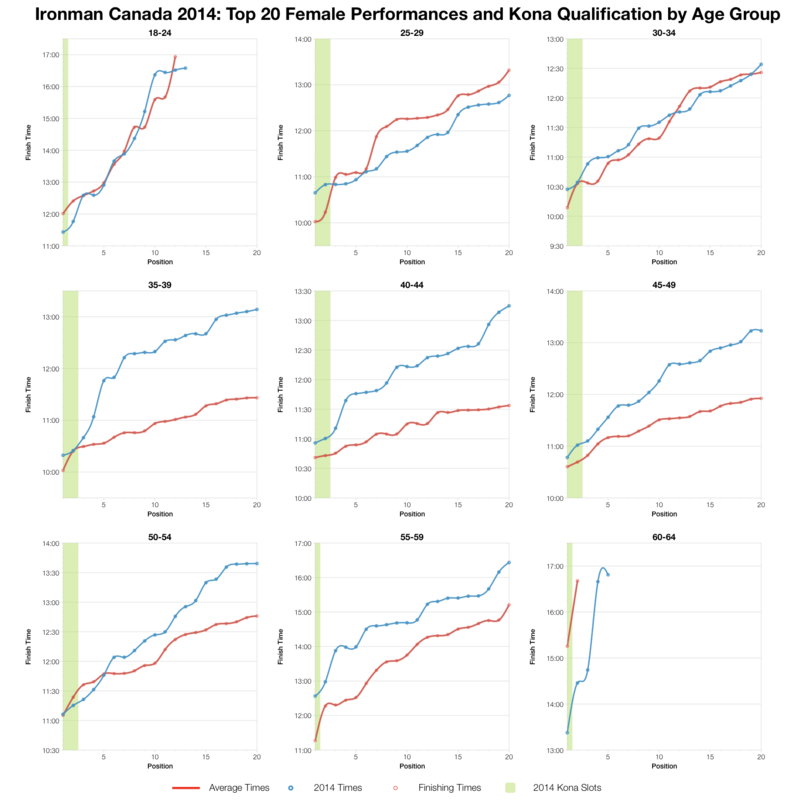 The drop in Kona slots from 2013 probably resulted in fewer front-of-pack age groupers using the race as a potential qualifier. Not that this made for an easier qualifier, but it impacted the spread of times on this course. 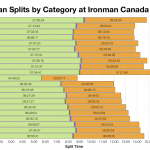 You can download a spreadsheet of results and splits from Ironman Canada 2014 from my Google Drive.